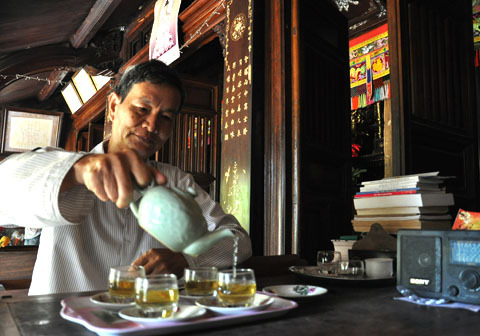 More than 20 ancient wooden houses of 150-200 years old have been preserved very well on the island of Ly Son. These are miniature museums and “eyewitnesses” of Vietnam’s sovereignty over Hoang Sa (Paracel) and Truong Sa (Spratly) archipelagoes. 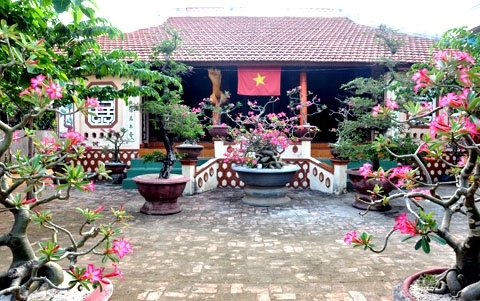 An old house of the Nguyen clan in An Vinh commune, Ly Son island district was build over 200 years ago. According to the elders, more than 200 years ago, many affluent families here bought timber from the mainland the leased ships to transport it to the island to build houses. 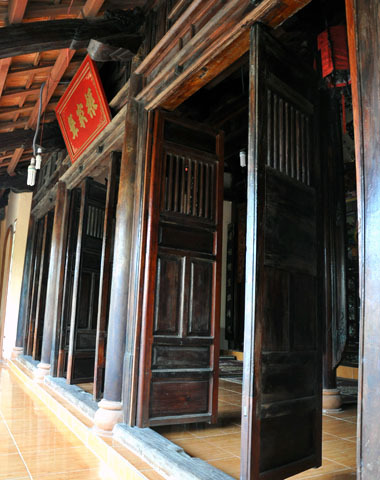 This house was built by carpenters from the famous traditional carpentry village of Kim Bong (Quang Nam province) and inlaid with nacre by artisans from Thua Thien – Hue. The house was built in 5-6 months. Most of the old houses on Ly Son Island are temples of clans. These houses are in traditional structure with three spaces, separated by wooden pillars. 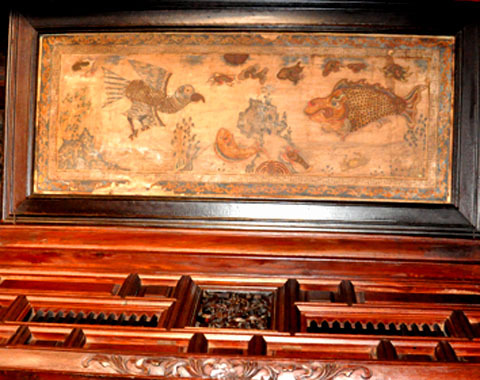 They are carved and decorated with brilliant cau doi (parallel sentences) and hoanh phi (horizontal lacquered boards). 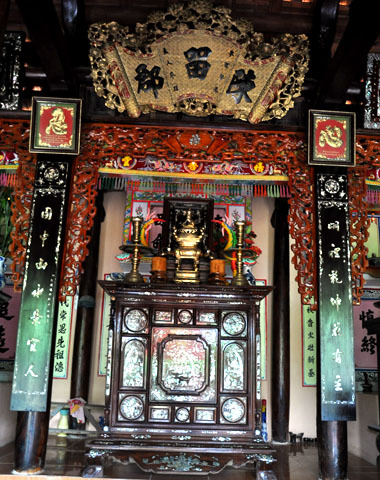 Every year, at these temples, clans organize a ceremony to pay grateful to their ancestors who sailed to the East Sea to plug milestones to confirm the country’s sovereignty over Hoang Sa and Truong Sa. Mr. Le Ly’s family in Dong (East) Village, An Hai Commune is living in a house of more than 150 years old, which was built on 42 pillars. In the past, the house had roofs made of reeds, but this material is no longer popular so it is now roofed by tiles. 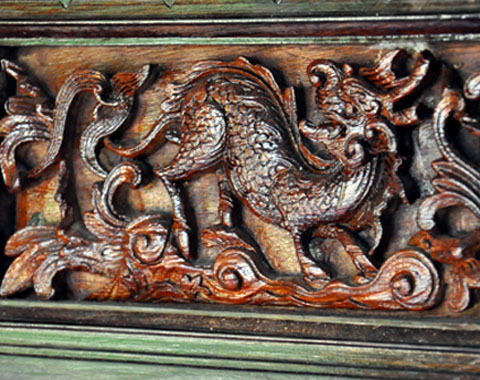 A carved pattern depicting a horse transforming into a dragon on the old wooden door of Mr. Duong Phap’s home in Tay Village. 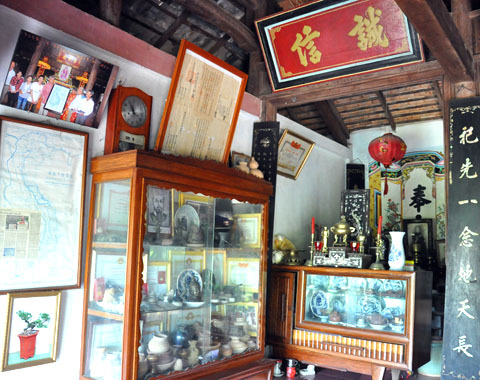 The ancient house of Mr. Pham Thoai Tuyen – the fifth descendant of Mr. Pham Huu Nhat, the leader of the Hoang Sa flotilla in Dong Village, preserves a lot of valuable documents and items that confirm Vietnam’s sovereignty of the Hoang Sa and Truong Sa archipelagoes. A painting dating back to 150-200 years in the house of Mr. Duong Phap in Tay Village, An Hai commune, Ly Son Island. 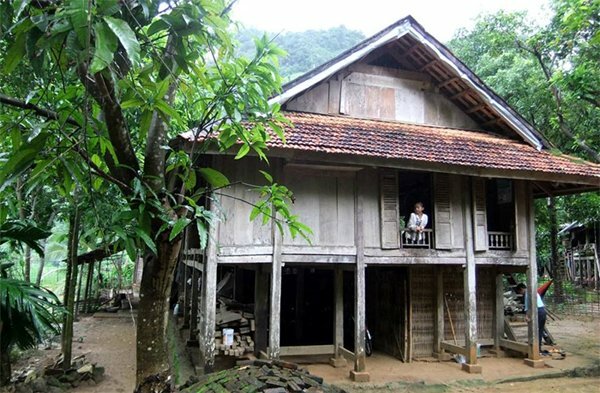 Local authorities have asked the Ministry of Culture Sports and Tourism to recognize the old houses on Ly Son Island as national monuments and have plans to preserve them. 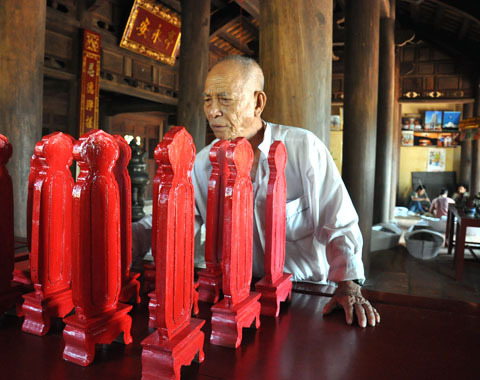 Artisan Vo Hien Dat and tablets of soldiers of the Hoang Sa flotilla at the communal house of the village of An Vinh. Besides the old houses, ancient communal houses on Ly Son are also the places where the ceremony to honor heroic soldiers of the Hoang Sa flotilla is held annually by local clans. The Department of Culture, Sports and Tourism of Quang Ngai is calling tour operators to cooperate with the clans on Ly Son island district to organize tours to Ly Son in the community-based tourism model on the occasion of the “Week of Quang Ngai island and sea culture” which will take place on April 25 – 29.